• What new information concerning Hobbes' political and philosophical thought can be rendered from mere translation? • What new offerings can a man in his eighties at the time offer, having widely explained his political ideas in numerous famous essays and treatises? • What new elements can be deduced in a text that was well-known in England and where there were better versions than the ones produced by Hobbes? 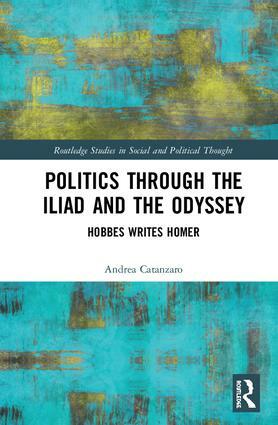 Andrea Catanzaro’s commentary and theoretical interpretation offers an incentive to study Hobbes lesser known works in the wider development of Western political philosophy and the history of political thought. Andrea Catanzaro is Assistant Professor of History of Political Thought at the University of Genova, Italy. His interests lie in Ancient Political Thought and its reception in the Western Political Literature of Early Modern and Modern Age.